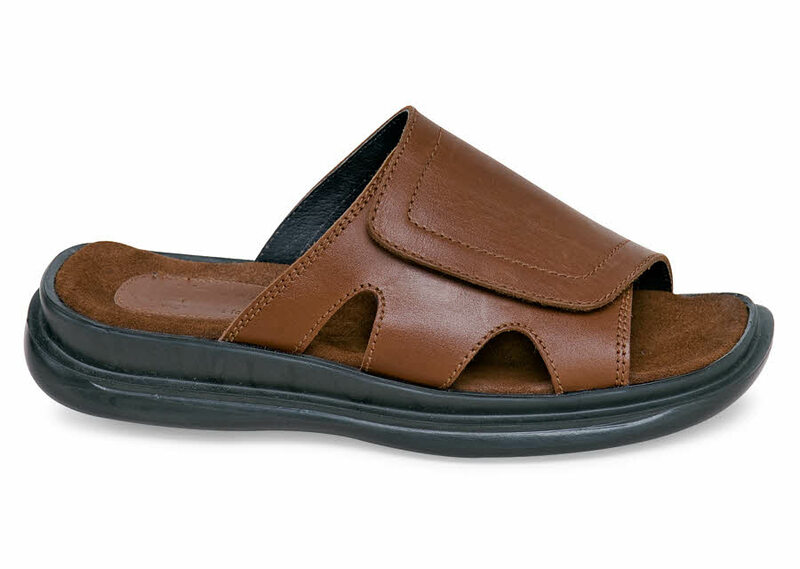 The smooth leather straps of our three-width Hitchcock slide sandal adjust with the ease of an adjustable strap for a perfect fit. 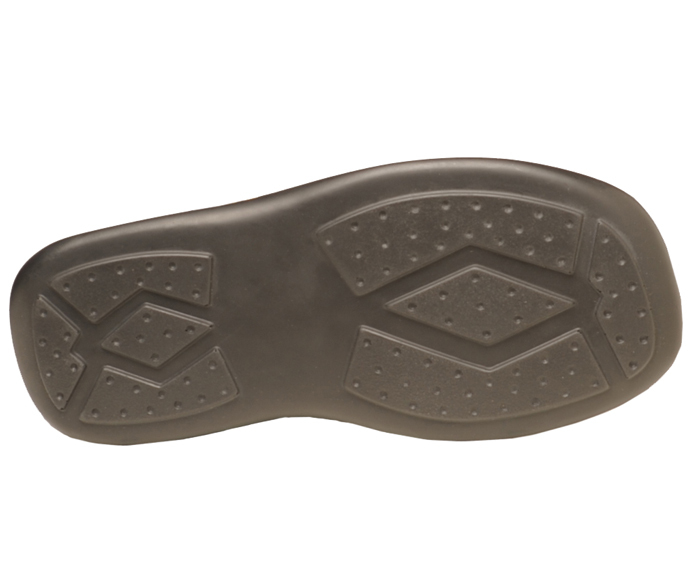 The wide polyurethane outsole has a leather-wrapped foam footbed for maximum comfort underfoot. Mohawk last. In season, stocked in men's whole sizes 5 to 13 in 3E and 5E; whole sizes 6 to 13 in 6E, but some sizes may not be available until re-stocking for spring/summer season. Available sizes are indicated in the pulldown boxes.